1964 Philadelphia Football lot of (33) cards with Stars. Cards grade from Poor/Fair to Vg/Ex to Ex. 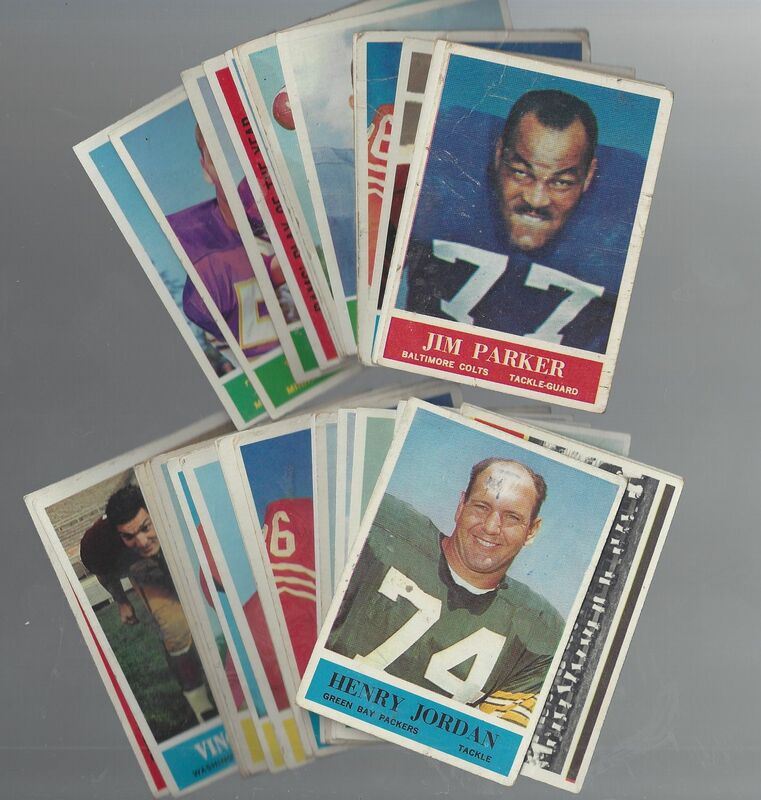 Star cards include: Sam Huff, Jim Ringo, Henry Jordan, Bobby Mitchell, Jim Parker and Earl Morrall.